With all the talk in Provo of multi-procedure smile makeovers involving veneers, porcelain crowns, bridges, teeth whitening, dental implants, and invisible braces, sometimes the traditional dental filling is overlooked. If a cavity progresses no further than a filling, Utah cosmetic dental patients can avoid more extensive and invasive treatments. Today, let’s talk about dental fillings. 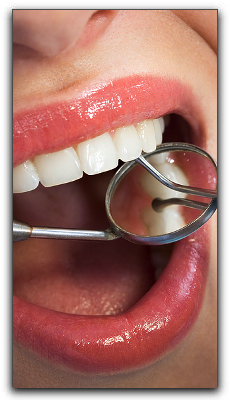 Most dental patients in the Provo and Orem area have a few fillings in their mouth. When a tooth has been damaged through decay, a dental filling is the most common way Utah family dentists restore the tooth to its previous, intact condition. Dental fillings have been used for over a hundred years, and they’ve come a long way from the silvery amalgam fillings many of us in the Utah County area remember. Provo cosmetic dentists and dental labs have been working to formulate filling materials that are more cosmetically pleasing to their Utah patients. Today, the filling material of choice in Provo and around the country is a composite of plastic resin with glass or quartz filler. Referred to as composite fillings, Provo dental patients love the fact that they can be matched to their natural tooth color, making them practically invisible. This is particularly important when the filling needs to be in a conspicuous part of the mouth, such as the front teeth. Despite the popularity of tooth-colored fillings, many Provo dentists still find amalgam fillings appropriate in some cases. Dental amalgam is made from a metal alloy, which gives it the ability to hold strong even when the chewing load is great. 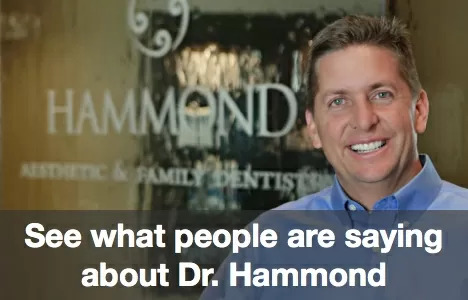 We’re Dr. Hammond, cosmetic Provo dentists, and we work hard to make sure our clients enjoy their dental visits and love their smiles. We find it especially rewarding when Orem, Utah County, and Provo residents find renewed confidence after a smile makeover. So whether you are interested in replacing metal fillings with composites, or if you want to discuss tooth whitening and veneers, our staff would be happy to answer any questions you have. Call 801-374-0070 today to schedule an appointment with Hammond Aesthetic & General Dentistry!